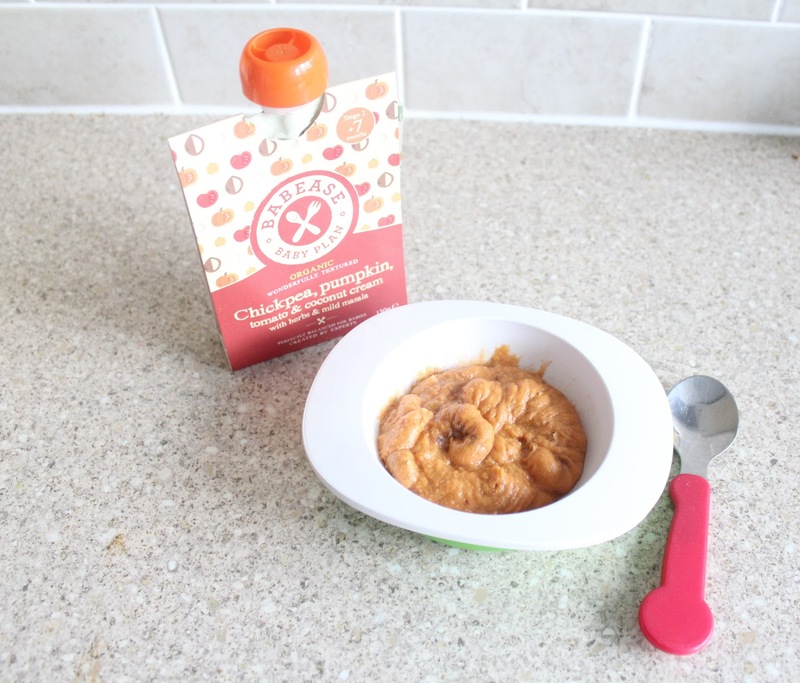 Weaning has to be one of the most confusing times for new parents - with so much conflicting advice around, and all and sundry offering their opinions and preferences it can be difficult to know what approach to take. 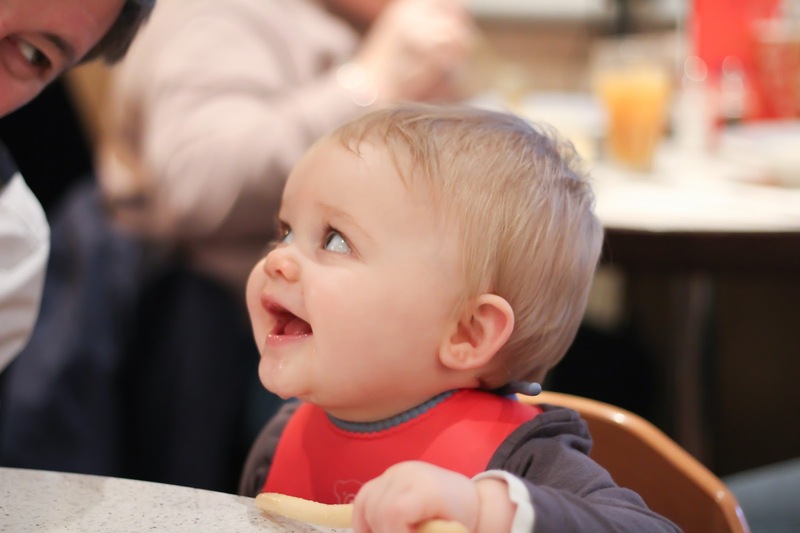 With my first baby, I dreaded weaning...I found the rules on which foods could be given at various ages confusing, and the more I looked into it all the more of a muddle I seemed to get myself into. But as with every aspect of life as a parent, when the time comes...you find your own way. Now my third child, Sailor, is 11 months old and we are well into our weaning journey. Sailor was the first of my children to be exclusively breastfed for the first months of his life, and he was also the first of the children to make it all the way to 6 months old before we started weaning. I know that many swear by the baby lead approach but I personally prefer to go the traditional spoon fed path at first, gradually introducing tastes, textures and finger foods along the way. Life with 2 other children under the age of 3 and a full time job can be very busy, and convenience is key when it comes to making our mealtimes work...as much as I would love to spend hours crafting home made meals every day it just isn't always feasible - but of course that doesn't mean that I'm happy to sacrifice healthy choices in favour of ease. Instead it's about finding ways to provide the healthiest options for the children in the time that we have available, and for Sailor I find that certain brands of baby food can be invaluable at these moments. One such brand that we have been using lately is Babease. 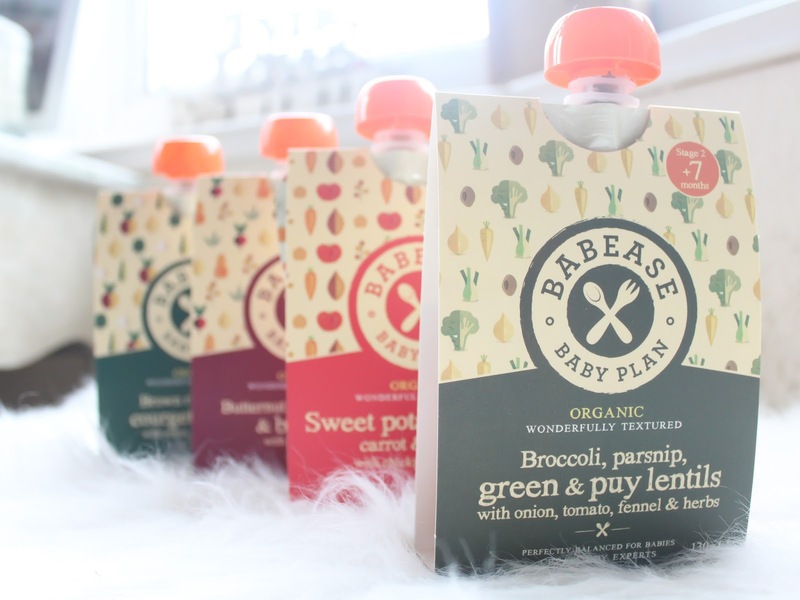 Babease baby food was created with a desire to provide honest and transparent recipes which are vegetable led… Babease uses lots of vegetables and never use fruit fillers (something that is actually quite difficult to find on the market currently). In fact the stage 2 pouches contain no fruit all. They use 100% organic ingredients, no added salt or sugar, and all of their vegetable based recipes are dairy free, gluten free and vegetarian friendly. What I really love about Babease is that the ingredients are printed on both the front and back of the packaging, they even have an ingredient wheel explaining the break-down of all ingredients used in the recipe. 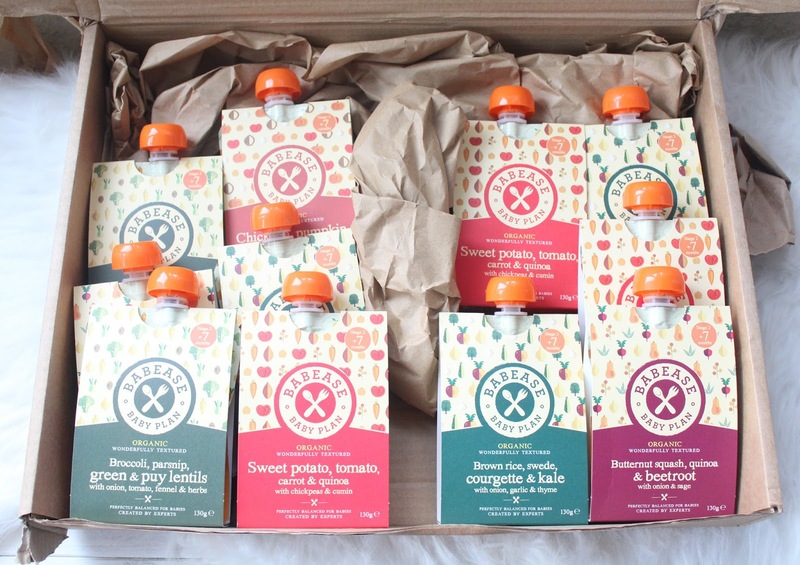 With no nasties hidden away in small print on the underside - Babease pride themselves on providing honest, healthy and delicious food to get baby off to a brilliant start in life. Now it's all well & good providing a baby food which is well made, healthy and packed full of goodness...but the main thing is...does the baby like it?! Because I speak from experience when I say that my children do not care how good for them something is or how much it cost me, if they don't think it's delicious...they will simply not eat it! We were sent a selection of Babease Stage 2 pouches for Sailor to try and I was intrigued by how he would take to the flavours on offer...with combinations like Sweet Potato, Tomato, Carrot & Quinoa and Chickpea, Pumpkin, Tomato & Coconut Cream...they seemed a little more sophisticated than your average baby food offerings! Well I can honestly say that Sailor enjoyed every single flavour, and devoured every last spoonful of every single one of the pouches we were sent...he wolfed them down and seemed to enjoy them immensely. The flavours really did sound very enticing, and I have to admit to licking a bit off the spoon one day when curiosity got the better of me and honestly? It was tasted amazing! I would have happily eaten it as a thick soup myself. Even Jon shouted in to the kitchen one day to ask what that delicious smell was when I was heating up Sailor's lunch! Sailor's favourite flavour seemed to be the Brown rice, swede, courgette & kale variety which surprised me as I'm not a fan of courgette myself and so probably wouldn't have ever got around to serving any up for him to try - but he absolutely loved it and now I know that I need to start adding courgette to our shopping list for him to have a munch on! The pouches are so handy for taking out and about with us too, infact Sailor enjoyed them most recently during a trip we took to a local cafe - looks pretty happy with his lunch, doesn't he?! Babease baby food is available from Boots, Ocado, Amazon and other retailers or you can purchase from Babease.co directly. I love all of these different flavours, must get some for Renzo to try!